Environmental fate studies are key to providing the data required by chemical companies to complete thorough environmental risk assessments (ERA). Fera has the best people in the right place focussed on delivering the right solution. We continuously invest in our people and support them in delivering the best science to our partners. Environmental fate studies are key to providing the data required by chemical companies to complete thorough environmental risk assessments (ERA). They provide information on the fate and behaviour of chemical products in the environment, and contribute to the determination of the risk posed to human and environmental health. Our services and expertise provide essential support on your road to successful product registrations and ongoing due diligence – whether for pesticides, veterinary medicines or pharmaceuticals. We provide a range of services from single studies to complex, whole programmes, including dossier preparation and submission. An understanding of the environmental fate processes can ensure that your applications are not only effective, but are also environmentally safe, providing you with the data you need to make product development decisions and obtain product registrations. 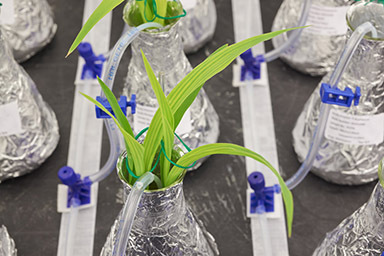 Our multidisciplinary teams combine decades of agrochemical and veterinary drug industry experience with world-class technical expertise and analytical capabilities. We operate in GLP-compliant facilities with the UK providing regulatory compliant studies for submission in all geographic regions. 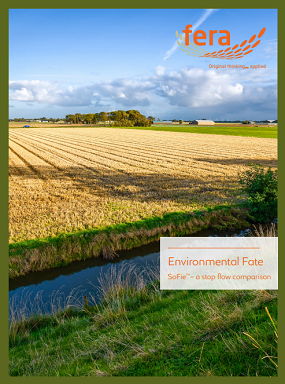 Fera’s environmental fate studies include a range of regulatory compliant tests to assess the biodegradation of chemicals in soil and water. By understanding how chemical products are broken down and degraded in the natural environment, we can supply the data you need for your environmental risk assessments – ensuring you meet all regulatory requirements in the development of safe new chemical products. With improved capacity of 300%, as more parent-associated metabolite fate studies become necessary, we can offer the entire spectrum of laboratory and higher-tier environmental fate studies with more efficient turnaround times. We’re committed to helping clients get more products to market with investment in our people and more efficient equipment to provide bespoke and innovative solutions. Aerobic and Anaerobic Transformation in Soil (OECD 307) The purpose of this test is to measure the time course of biodegradation of a test substance in soil under aerobic and anaerobic conditions and to quantify the observations in the form of kinetic rate expressions. Degradation of the test substance will be followed for the parent substance and its potential (known) transformation products. Degradation rate, mass balancing and transformation product pattern will be determined for the test substance. Degradation kinetics will also be followed for any major transformation product, if possible. Aerobic and Anaerobic Transformation in Aquatic Sediment Systems (OECD 308) The purpose of this test is to measure the time course of biodegradation of a test substance in aquatic sediment systems under aerobic and anaerobic conditions and to quantify the observations in the form of kinetic rate expressions. Degradation of the test substance will be followed for the parent substance and its potential (known) transformation products. Degradation rate, mass balancing and transformation product pattern will be determined for the test substance. Degradation kinetics will also be followed for any major transformation product, if possible. Aerobic Mineralisation in Surface Water – Simulation Biodegradation Test (OECD 309) The purpose of this test is to measure the time course of biodegradation of a test substance at low concentration in aerobic natural water and to quantify the observations in the form of kinetic rate expressions. Degradation of the test substance will be followed for the parent substance and its potential (known) transformation products. Degradation rate, mass balancing and transformation product pattern will be determined for the test substance. Degradation kinetics will also be followed for any major transformation product, if possible. 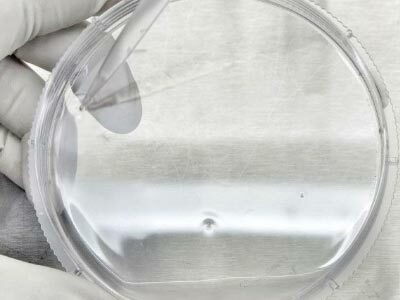 Ready Biodegradability – CO2 in sealed vessels (Headspace Test) (OECD 301) Biodegradation is one of the most important factors in assessing the environmental fate of chemicals. Substances coming into the aquatic environment via waste water get in contact with the sewage treatment microorganisms, which is therefore the basis for the assessment of aquatic biodegradation. Adsorption – Desorption using a Batch Equilibrium Method (OECD 106) The purpose of this test is to estimate the adsorption/desorption behaviour of a substance on soils. Therefore, the adsorption (binding of a chemical to surfaces of soils) of a test substance on different soil types will be evaluated. The decrease in concentration when aqueous solutions of the test item are in contact with different soil types at room temperature will be determined. Phototransformation of Chemicals in Water – Direct Photolysis (OECD 316) Direct photolysis involves the transformation of a chemical resulting from direct absorption of a solar photon. Direct photolysis can be an important dissipation pathway for a chemical that exhibits significant light absorption above 290 nm cut-off of the solar irradiation at the earth´s surface. The purpose of this test is to investigate the potential effects of solar irradiation on the test substance in water. Direct photolysis rate, half-life and quantum yield will be determined for the test item. The transformation product pattern and mass balance can be investigated with the usage of 14C-labelled test item. OECD DRAFT - Soil Photoysis The purpose of this test is compliance with the proposed new guidelines for phototransformation of chemicals in soil surfaces. 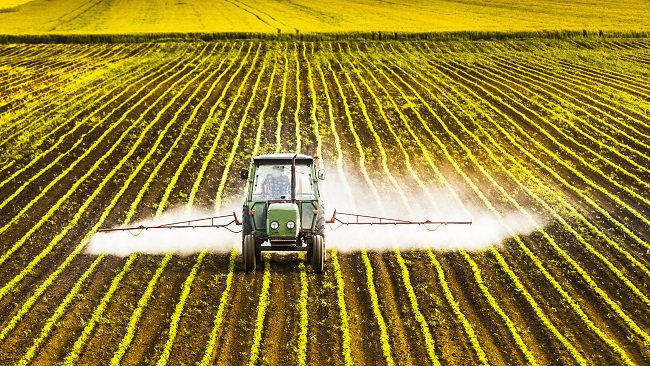 Man-made chemicals may reach soil directly via deliberate application or via indirect routes as chemicals can be transformed in soil by microbial, chemical and/or photochemical processes. Staying true to our values, underpins the success of our business. Our people shape who we are and what we do and set us apart from the rest. 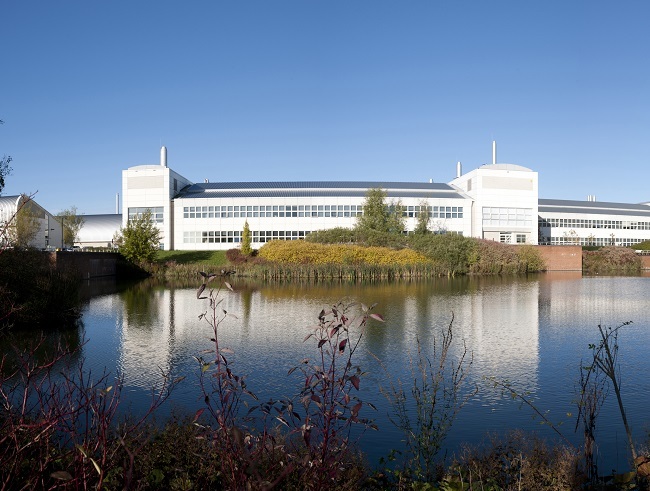 Read about our investment in our HPLC laboratory which provides customers with a more efficient and cost effective service. With our SoFie™ modules we can detect smaller levels of radioactivity due to the stop-flow mechanism. With improved sensitivity of signal to noise SoFie™ gives better counting statistics without adversely affecting the chromatography. 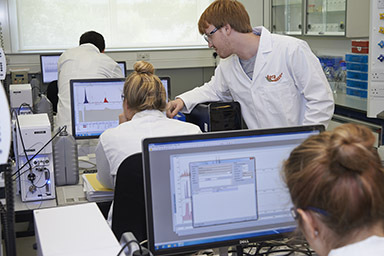 Our scientific and technical expertise, combined with our state-of-the-art laboratory facilities, enable us to complete detailed studies using both radiolabelled and non-radiolabelled test items and substances. As more parent-associated metabolite fate studies become necessary, we can offer the entire spectrum of laboratory and higher-tier environmental fate studies. 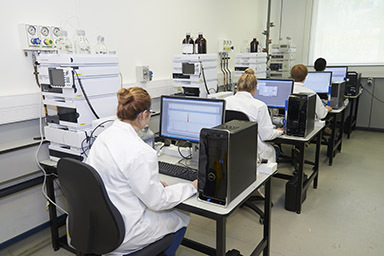 Our investment in our HPLC lab provides customers with a more efficient and cost effective service. With our SoFie™ modules we can detect smaller levels of radioactivity due to the stop-flow mechanism. With improved sensitivity of signal to noise SoFie™ gives better counting statistics without adversely affecting the chromatography. We also offer a range of bespoke studies, which meet regulatory requirements. We can tailor the design of standard recognised regulatory studies to meet your specific objectives. 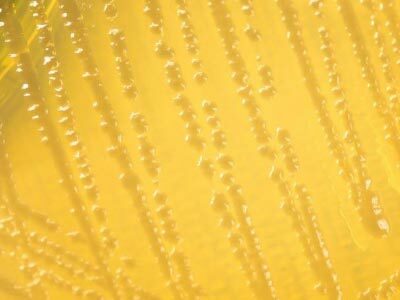 Our scientists will work with you to understand the requirements of your ERA, and can amend the test matrix, design and analysis to suit the analyte in question. Our expert team supports you through the entire regulatory process, from answering questions about compound formulation to fielding regulator queries on submitted risk assessments. Laboratory (GLP) analytical services for agrochemicals, biocides, and veterinary medicinal products. Laboratory studies with radio-labelled and non-radiolabelled chemicals. Batch sorption, including aged sorption and column leaching studies according to OECD guidelines, as well as parameter estimation. Soil, water-sediment and manure/slurry biodegradation studies, including estimation of degradation parameters and endpoints. Hard (man-made) surfaces fate studies, including lab-scale sorption, wash-off and field monitoring studies. Design, interpretation and analysis of lysimeter, field leaching, field dissipation and environmental (e.g. groundwater) monitoring studies.